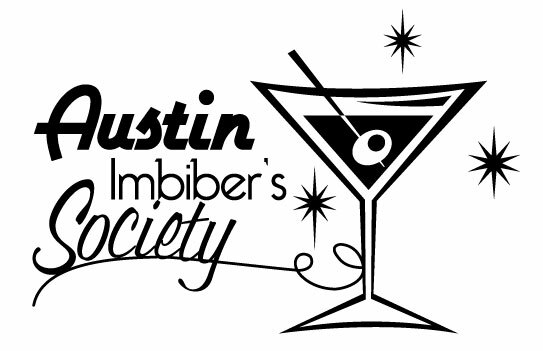 Volunteer to do cadet training as "Real Live Drunks"
Austin Imbiber's Society will have Bimonthly (more serious- ha! ya right) house party meetings and in between that we will do bar meetups, etc. The next outing will be Saturday April 4th from 1 - 3 at the Independence brewery. The next party will be in May possibly at Gary & Dee's house and 50's cocktail themed. Pink Grapefruit Juice, Vodka, Ginger Ale, and a Lime. Special note: Absinthe is the worst hangover ever. Each member has their own title that is silly and booze related. We may get some shirts made. The fronts shall say "ehhh... we're drinking", the backs say "that's the whole point"
We could also get cocktail shakers engraved with our member names. Manny will build a sign from spare parts at work. Austin Imbiber's Society determined we should adopt a street with the Keep Austin Beautiful program. Most people thought it should be downtown for the most visibility and we'll only have to do it 2 times a year. Rachel suggested we could help with greenbelt clean up for community contribution on Earth Day or otherwise. We could also feed the homeless... or give them alcohol.. have to check on that one. We wish to evaluate all the sober ride programs in Austin and see which are the most effective. Another note: Bacon Salt is RAD!